The standard Invoice template is the default Invoice Template used by the Neto System. 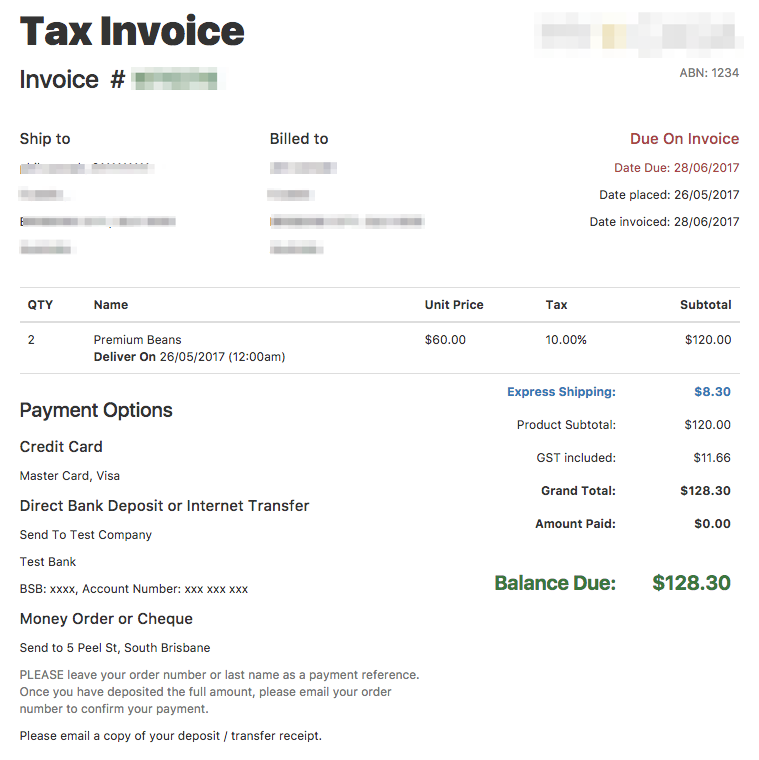 It contains everything you need by default for a Tax Invoice and is fully customisable. Select the orders you wish to print dispatch dockets for, but checking the boxes next to each one. At the bottom of the page click Print and choose Order or Invoice. All Invoices are stored here on the file server: /private/www/netosuite/SysDoc/printdocs/order/invoice. The value in Default Invoice Template is the template being used.